This was made as part of the Travellin’ Pic Stitch blog hop last year, and frankly, I can’t think of what to do with it that doesn’t involve a lot more EPP that I don’t have time for, so if you want it, shout out! Gone to Ella. This was made as part of the Foundation Paper Piecing For The Terrified series last year. I had grand ideas that I could turn it into an art packet for a wee boy or something, but since I’ve had no reason to actually get on and do it, I haven’t, and maybe one of you would like it instead, let me know in the comments: Gone to Samantha, please send contact details! And now onto the fabric. 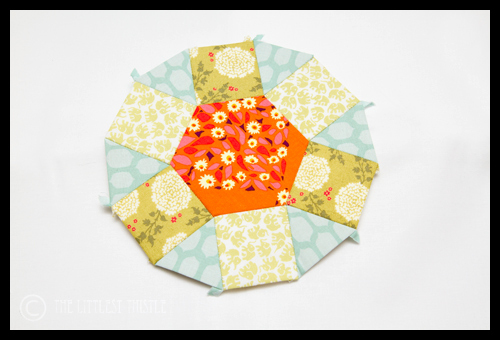 I was in a stash bee last year, long before Pink Castle had come up with the Stash Club, and I ended up stocking up on a few fat quarters from the quilting section of the local fabric shop that I thought might be useful, but ended up not using. I know I’ll never use them now, so if you want any of them, leave a comment! All gone! I am planning to make a star quilt for my son with all the stars I will be recieving this month from my bee and would love to incorporate the rocket! What a great idea to find new homes for these projects! I'd love the EPP project or the rocket. I'm seriously addicted to EPP and I have a little boy coming to one of my BFF's soon. I think we all have a few unfinished prejects. Hello! I would love the white with pink flowers and the bright pink fabric if it is still available? How brave of you to count all tjose WiPs! I would love to have the pinks, please. I could definitely use them in my Scrappy Trip Along. Thank you so much for the giveaway. I love both the unfinished projects! 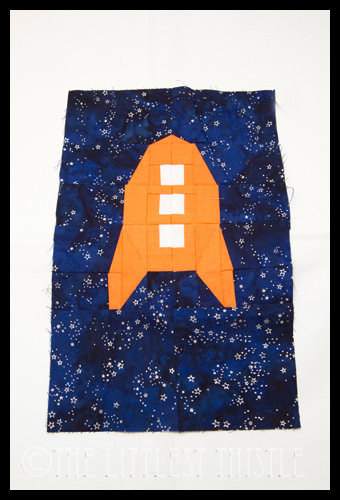 The rocket would be an amazing wall hanging, and that EPP is crying out to be appliqued onto a bag/purse/basket – beautiful. Well it was all very nice but gone and gone boo hoo! I would love some EPP! Have a great weekend! 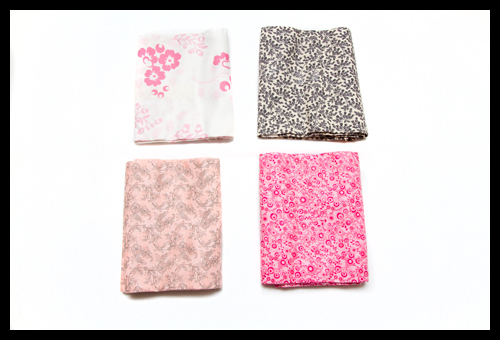 I love to pink fabrics if still available. I wonder. Well done on getting rid of the Fugly! Ella and Samantha are very lucky, those projects are gorgeous!